Tanikaze's grandfather who also taught Tanikaze how to pilot guardians. 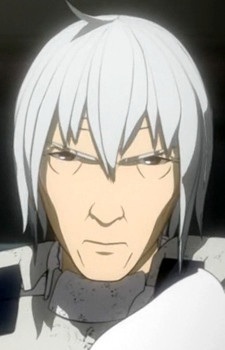 Saito was Sidonia's former ace pilot. Knights of Sidonia: En Garde! It's not easy being human in Knights of Sidonia. Earth has been destroyed and we're confined to a rickety space station, stalked by a mindless force that wants to eat us. Our only defense is the Garde: a type of mecha capable of fighting the alien threat. Let's take a walk through its history!